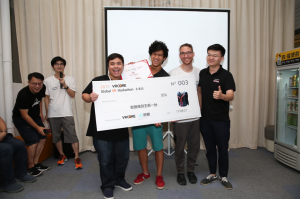 Global VR Hackathon had the top 3 teams in the world. Global VR Hackathon championships ended in the last weekend. 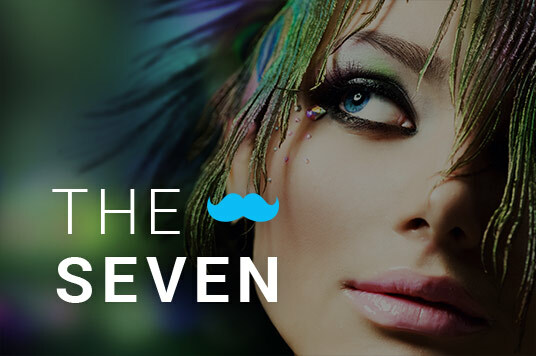 8 teams from 6 countries worked for 48 hours and made 8 wonderful productions. Global VR Hackathon is the first international VR hackathon, which is started by VRCORE, SVVR, EYA, Melbourne VR community, VRBLN and AsiaVR. 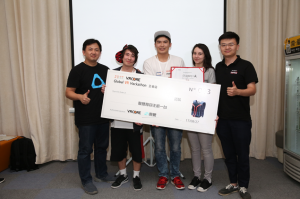 The final championship was host in Shanghai by VRCORE, who is the biggest VR community in China. The topic of this hackathon is NUMBER, and every team should use one interactive equipment from three equipments provided by VRCORE, which is Tracker from HTC Vive, aGlass from 7invensun and Fingo from uSens. 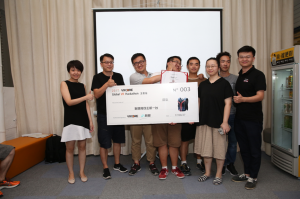 After 48-hours development, 3 teams won the first 3 place and prize from Lenovo. The team Brian’s Brain Squad from America get 3rd place by their production Eyerithmetic. It is a maze game with eyes-tracking kits from 7invensun, you should solve the math problem in binary and some other system. The Staples VR from New Zealand won the 2nd place by their production LocoMotion Time Trial, which use Tracker from HTC Vive. Player will have the tracker on their belt and try to steal jewellery with set alarm rings. The champion team is Chesstar from China. This team made a PVP game called Face Broke by fingo. The idea of their game come from a traditional Chinese game. Players use gestures to fight with other players, and different items will bring more fun.